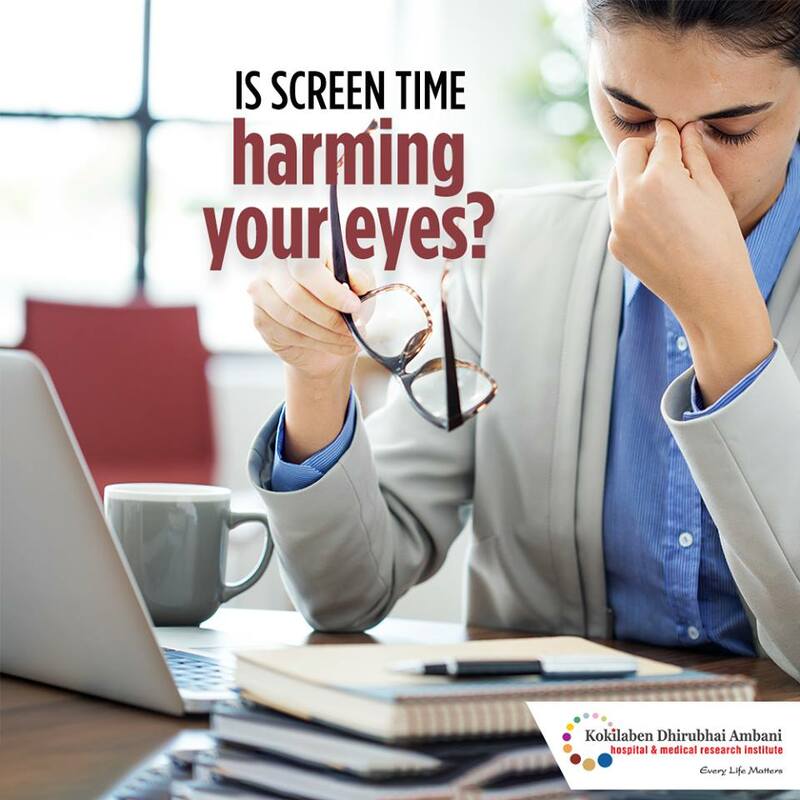 Is screen time harming your eyes? In addition to causing neck, back and shoulder pain, staring too long at a computer/phone screen can affect your eye health severely. Some of the eye problems due to excessive exposure to screens are: Eyestrain, Dry eyes, Blurry vision, Long distance focus issues. Take regular breaks at work and limit screen time usage after work.